Never worn with tags still attached. I decided to go with a different dress that fits my style more, and the boutique I bought it from does not do returns or exchanges. 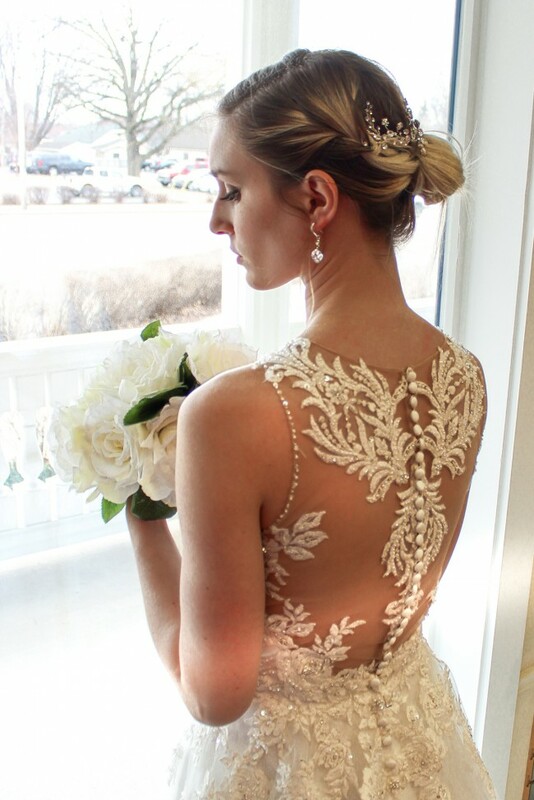 The beaded embroidery is beautiful on the v neckline and bodice, as well as the back. Mesh with lace overlay make the front and back of the bodice look very delicate. Multiple layers of tulle in the net A line skirt finish the look. Please note that this style comes with extra support sewn in (bra cups and wiring) that can be removed by seamstress (see 2nd photo without- sample dress, last photo with in the dress I received). Fits me like a glove and I’m 5’7”, 34” bust, 25” waist and 34” hips. Feel free to reach out to me if you have questions!